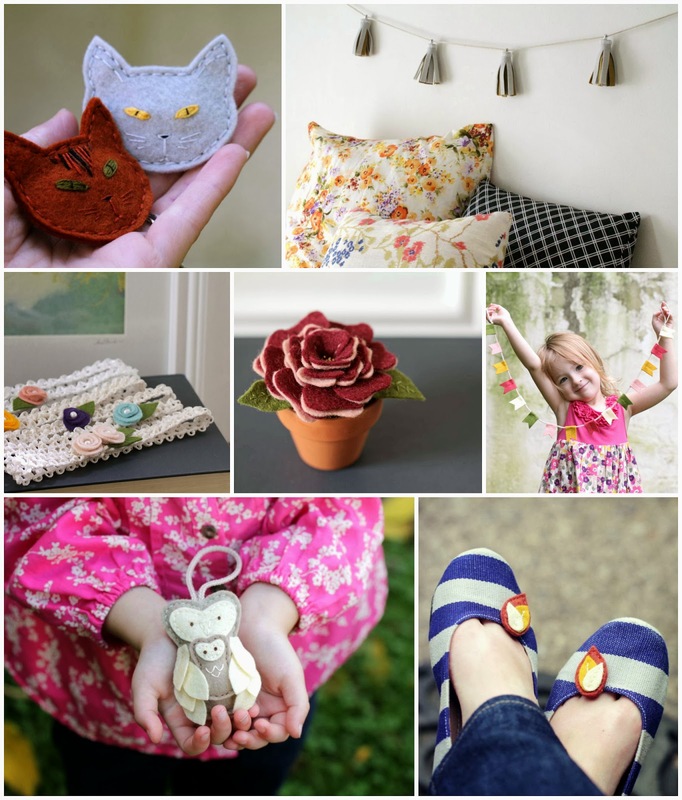 ORDINARY MOMMY DESIGN: I've Been Busy! New Goods in Shop for Fall. I've Been Busy! New Goods in Shop for Fall. I know you can't tell from the lack of posting here on the blog, but I've been busy, busy, busy creating new goods for the shop. With the start of our homeschool year I had a surge of creative brainwaves. Needless to say, that has translated into some late nights for me! As you can see, I've been having a lot of fun! + I've added quite a few new colorways to my collection of notched flag banners, and have even started to add metallic vinyl to some of them. + Cat faces have finally made their debut. + There are a couple of new potted felt plants in shop. + Not to be missed are some brand new ornaments! 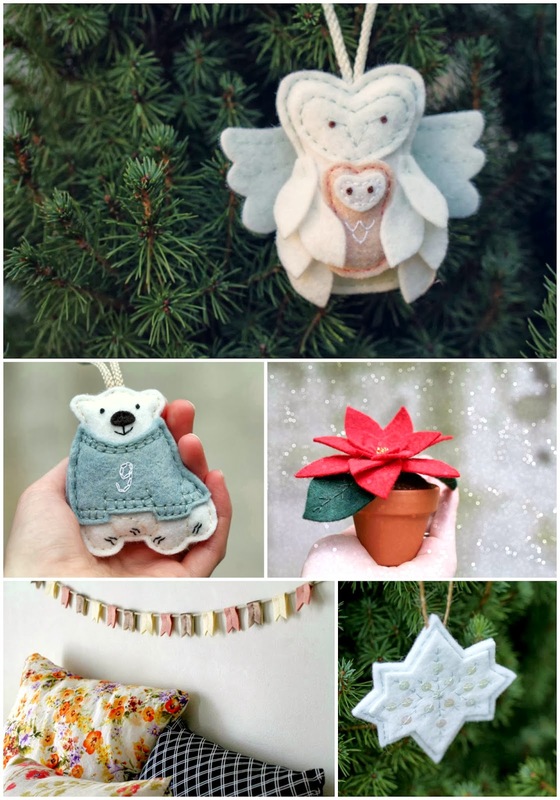 Sweet baby polar bears with personalized sweaters, mommy & baby owls, guardian angel owls, and snowflakes. Three new things that I especially want to highlight are brand new lines: shoe clips, tassels garlands, and baby headbands. +Shoe clips are a great way to add an unassuming bit of spice to your wardrobe. And the shoe clips available in the shop are perfect for that day-to-evening transition: sensible, yet fun. + When it comes to tassels, I have to say that they've always intrigued me; they are so mysterious and decadent. I'm thrilled with the way these tassel garlands turned out! Something about using felt makes them approachable while they still maintain their exotic qualities. + Lastly, I sourced a fully elastic poly knit ribbon to create headbands for the little ladies. Topped with rosettes and freshwater pearls, they are pretty enough for pictures, but not so overwhelming that they have to be saved for special occasions only. Whew! Thanks so much for taking a peek! As always, these pieces are my own designs and completely hand stitched in my small Pennsylvania home. Feel free to email me with any questions, and be sure to share a smile with someone else today! Congratulations on your blog , what work !